Lay Kim is a Partner with the firm’s Commercial Business Unit based in the firm’s Johor Bahru branch and handles cases pertaining to real property transactions, including sale and purchase of properties and tenancies. She advises clients on the legal implications of real property transactions which includes purchase directly from developers and on sub-sale as well as the execution of various types of agreements. In her years of practice, she has advised the local and foreign investors as well as developers on a wide range of legal matters. She was also involved in the drafting of agreements for developments in the Iskandar Development Region including the Medini, Iskandar Malaysia projects undertaken by developers. 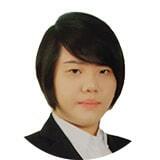 Lay Kim has experience in handling shipping loans and tender exercise for our panel bankers. She has also advised our panel bankers on various types of loan documentation for both retail loan as well as commercial loan transactions.